Groups are criticizing the New York Department of Financial Services' call for a national moratorium on captive insurance transactions. "The DFS' effort paints captive insurance transactions that DFS is concerned about with a broad brush across the captives industry that doesn't apply in many instances," said Dennis Harwick, president of the Captive Insurance Companies Association. 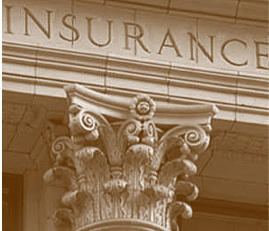 On June 13, the New York DFS issued a report showing that state-based insurers and affiliates had made at least $48 billion in so-called shadow insurance transactions that typically involved captives in other states and offshore locales. The DFS said the National Association of Insurance Commissioners, the Federal Insurance Office and the Office of Financial Research should conduct investigations similar to DFS in order to have a complete picture of the extent to which such transactions are used nationwide. DFS urged state insurance commissioners to consider a nationwide moratorium on those transactions. The DFS claimed that companies form captives to reinsure a group of policy claims and move freed-up reserves normally set aside to pay policyholders to boost risk-based capital figures on balance sheet. Harwick's comments follow questioning of DFS' call by the National Association of Insurance Commissioners' President Jim Donelon, who said during a recent conference call there appeared to be no need to call for a moratorium. Harwick said he was relieved by Donelon's comments. The larger states that dominate NAIC have traditionally been cool toward captives and therefore Harwick feared the NAIC might support New York's position. "The New York moratorium call was a knee-jerk reaction to the findings in its report," said Harwick, who still worried about the potential fallout. There was widespread concern about someone taking this thing and tar-and-feathering the entire [captive] industry. "Captives and the way individual states handle them vary on a case-by-case basis," he continued. "Some life insurers are using captives for reinsurance transactions, but the vast majority of them operate very differently." Life insurers are among those who form captives, and the American Council of Life Insurers sprang to defend them as a good way for insurers to spread risk and keep consumer prices down. ACLI spokesman Jack Dolan stressed the importance of captive reinsurance transactions as a risk-management tool and echoed the NAICs opinion. "The idea of a moratorium is unrealistic and unnecessary, he said in a statement. Most jurisdictions would not agree with New York on the captive transaction issue. Most states see them as useful financing tools for life insurers, with the caveat that they are fully regulated. A moratorium on useful financing tools makes no sense." Donelon said state insurance regulators are continuing to monitor the risks posed by captives and special purpose vehicles. Efforts to implement principles-based reserving for life insurers will address the perceived reserving redundancies that have precipitated the use of captives for reserving purposes, he said in a statement. NAIC narrowly approved sending principles-based reserving to states for approval last fall. This spring, New York DFS officials voiced their opposition to the need for principles-based reserving.